In 2012 HSBC admitted to funding terrorism and laundering drug money for criminal networks. Why with an admittance of the above crimes has not one person gone to jail? The answer comes in the form of immunity given out to banking cartel members. 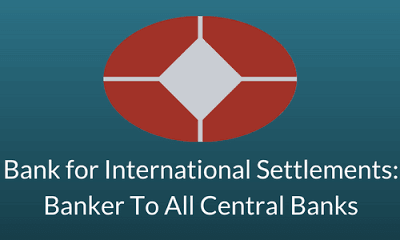 Immunity comes from the Bank for International Settlements (BIS) and its Financial Stability Board, an operation that positions the banking cartel to the heights of a global monarch, with the power to sideline the laws and the sovereignty of nations under the legal guise of financial stability. To follow this legal framework and to then implement decisions, politicians are acting in treason against the people that elected them to serve the interests of the nation. This is the power of the banking cartel, overseen and steered by the BIS which issues forth all corporate legislation to be followed by corporations and banks. Governments today are themselves corporations without the general population having any idea of this fact, the people continue to believe that those they elect, have power. On that score, the DOJ’s abysmal track record is by now so extensive and so thorough that its possible to spot legal patterns in the DOJ’s protracted miscarriage of justice, and, as you’re about to see, those patterns are very deeply disturbing indeed. What’s been going on cuts right past a garden variety constitutional crisis like Watergate straight to a crisis of sovereignty. ← In Profile : Why St George? Has England’s history been faked pre-14th century?